With one road-worthy headset, you can listen to music wired or wirelessly, take calls over Bluetooth, cancel 90% of ambient noise and chat with seatmates-- all without removing the headset. 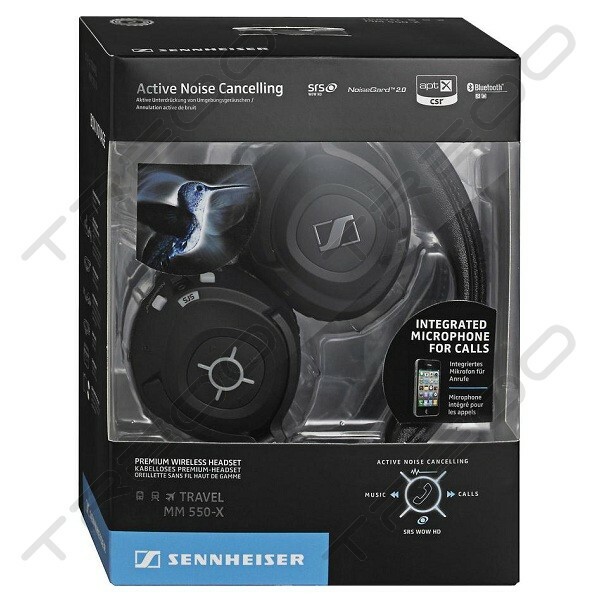 With the MM 550-X you can switch between calls and music -- delivered in superb stereo sound with Apt-X capability, as only Sennheiser knows how-- without wires! 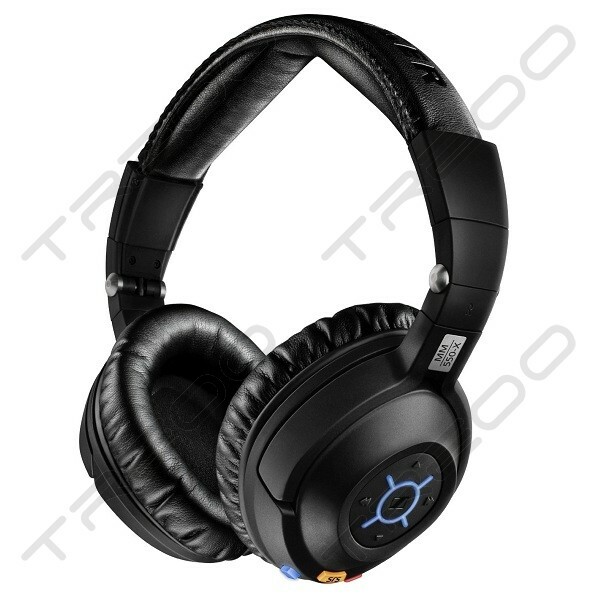 Luxurious,around-the-ear cups powered by NoiseGard 2.0 eliminates up to 90% of background noise for an incredibly relaxing flight. A convenient TalkThrough function lets you carry a conversation with a seatmate (or teammate) at the push of a button. Selectable SRS surround simulation adds excitement and depth to your audio on-demand. The invisible microphone ensures that you have the added convenience of taking a call without wires, or hassles-- without changing headsets. Using a closed, around-the-ear design to block ambient noise, the MM 550-X is an ideal companion for the frequent flier or baller. 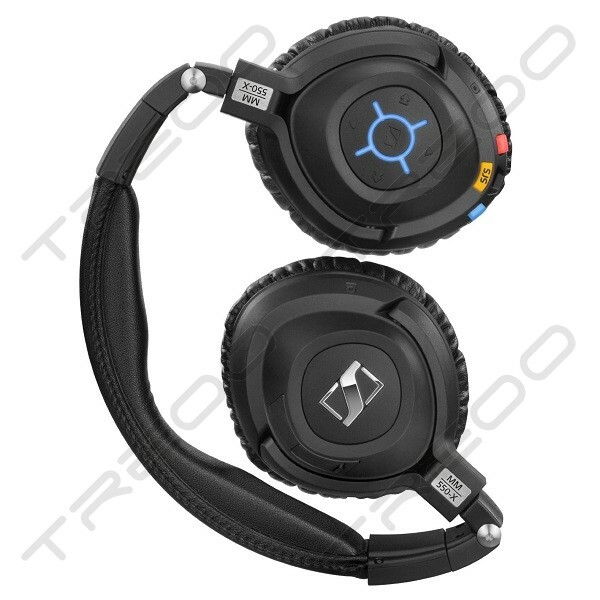 Advanced DuoFol transducers provide the kind of detail and frequency response you would expect from Sennheiser. The easy-to-use control panel is intuitive and simple enough to operate with your eyes closed-- a common way of enjoying Sennheiser's world-famous sound quality. The MM 550-X folds up to fit in any carry-on. The replaceable battery charges via USB or a wall adapter. 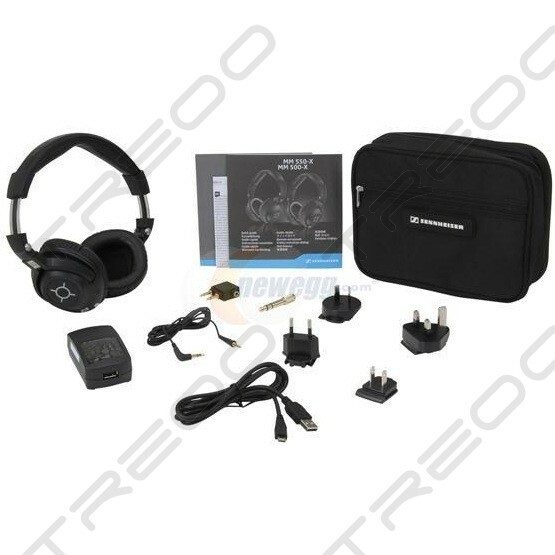 For situations where Bluetooth is not permitted, you can use the included audio cable for a direct connection- making the MM 550-X at home in any situation where a super quality headphone is required.